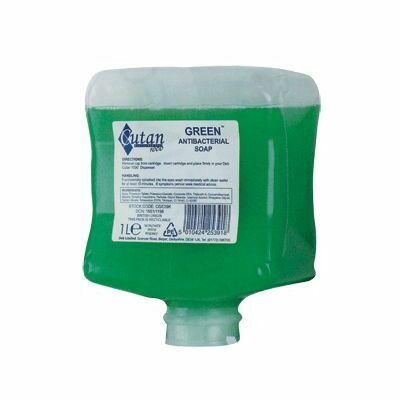 Cutan Antibacterial Soap is a mild lotion hand wash, ideal for use in care homes and healthcare settings. It is effective against a range of bacteria and viruses, whilst this antibacterial soap also has mild surfactants, which makes it gentle on skin. Also suitable for use by staff in nurseries and primary schools. It provides a user-friendly, convenient and economical hand washing system: use with Gompels Deb Liquid Dispenser; or the Catch it, Bin it, Kill it Liquid Dispenser. Why not check out our range of jumbo toilet paper and Z fold hand towels which will be sure to keep your store cupboard fully stocked.